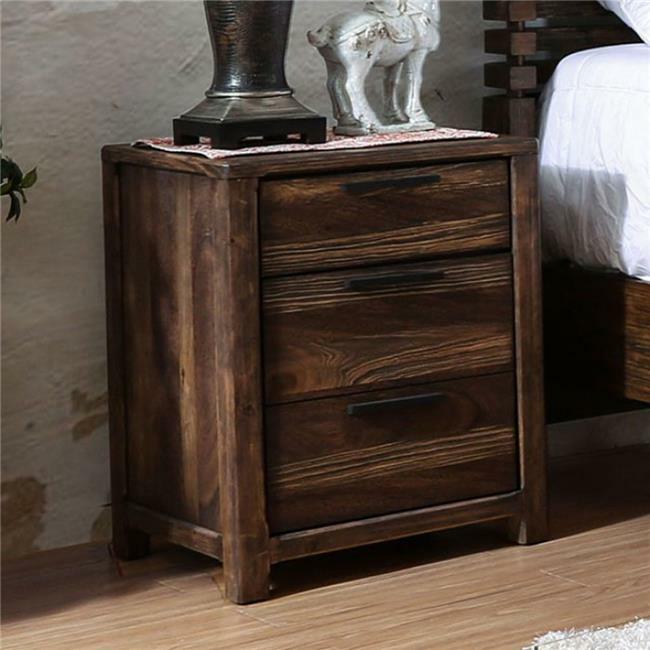 A compact transitional style night stand made in quality wood with rustic natural tone finish, including three drawers. Avoid scratching the surface with sharp objects but you can wipe it with a clean cloth. With all of its look, it grabs much attention towards itself. Matching case goods are each equipped with ball bearing metal glides and felt-lined top drawers.